Rapid City BUS: Will load up at the southwest corner of the Civic Center west parking lot at 7:00am Sunday morning (will leave Rapid at 7:30am) and will return to Rapid City by 8:30pm Sunday night. Sioux Falls BUS: Will load up at Fawick Park at 8am Sunday morning (will leave Sioux Falls by 8:30am) and will return to Sioux falls by 9pm Sunday night. NOTE :: South Dakota has two time zones! The march starts in Fort Pierre which is in Mountain Time; the march starts at 11am MT, 12pm CT.
South Dakota Public Utilities Commission will be holding the FINAL hearings to decided whether or not to let TransCanada put our lands and waters at risk by building Keystone XL. Be it on horseback, bike, or on foot we invite all Pipeline Fighters from across the state, region, and country to unite and ride into Pierre - crossing the sacred Missouri River to say NO to Keystone XL. We'll be meeting in Fort Pierre next to the Pizza Ranch at 11am MDT (12pm CT). 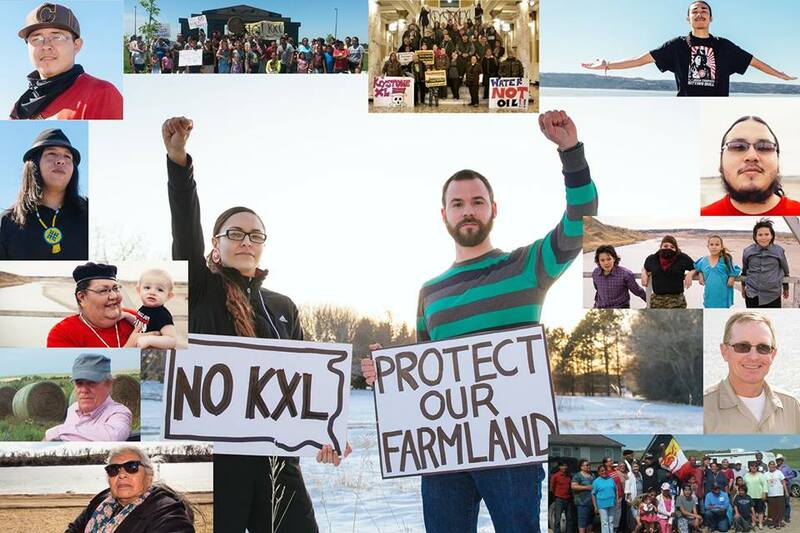 Riders both native and non-native will be leading us and we will ride and march together across the bridge into Pierre to show our collective resistance to tar sands and the Keystone XL pipeline. The march will be followed by a water ceremony, concert rally, and a community feed.